Massena- Hamilton A. 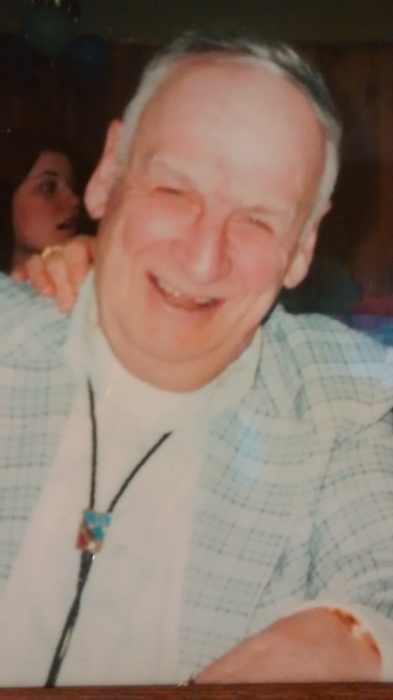 Ferry Jr., 84 of Massena (Formerly of Childwold N.Y.) Peacefully passed away on the morning of August 10, 2018 at Massena Memorial Hospital. Arrangements are with the Larue and Pitcher Funeral Home, Ogdensburg N.Y.
Hamilton A. Ferry Jr. was born on April 9, 1934 in Tupper Lake N.Y. to the late Hamilton A. and Helen (Colbert) Ferry Sr. Ham graduated from Tupper Lake high school and later enlisted in the United States Army from 1956-1958 spending most of that time in Germany as a truck driver and mechanic. He recieved a good conduct medal and was honorably discharged. Ham leaves behind his life time partner of 30 years, Phyllis C Palmer. His children; Dean & Robin Ferry of Florida, Scott Ferry and companion Cindy, Craig Ferry and companion Marsha, Deanna (Ferry) Haggerty all of Rochester N.Y. Kaneta (Palmer)and John Cameron of Massena N.Y., and Kimberly Rutley of Potsdam N.Y. also surviving are his brother James and Florence Ferry of New Mexico and a sister Margo (Ferry) Clark of Sodus N.Y. Ham is also survived by his grandchildren; Alexandra, Christi, Heath, Heidi, Morgan, Bryant, Desiree, Rhiannan, Joshua, Samuel, Chelsea, Chase and several great grandchildren. Ham was predeceased by a son Christopher Ferry and Scott Palmer. Hamilton A. Ferry Jr. or "Ham" as everyone affectionately called him, was a self made man who lived life on his terms. When Ham set his mind on a task no matter how big or small, he accomplished that task. Ham has literally done it all. In his youth he had fun and adventures in the Adirondacks. He proudly served our country in the United States Army. He is a carpenter who has built everything from multi-unit apartment houses to bird houses with his grand kids. He has been a tractor trailer driver and has traveled this whole country. He has been a contractor and has helped build factories and foundries right here in the North Country. He has been a business man. It was Ham's dream and determination that along side Phyllis they built Hams Mini Mart from the ground up! Ham could quite honestly do it all. If he encountered some new, unfamiliar task he would study it and take his time with it until he conquered it. That's how Ham lived his life, never giving in and never giving up. Those are the lessons and values that the people closest to him witnessed and admired about him. There honestly isn't enough space here to tell Hams story or express how much he meant to us and how he touched our lives. Ham was a wonderful person and an amazing grandfather. We are all truly blessed to have had him in our lives. His laughter, his smile and that twinkle in his bright blue eyes will be dearly missed. Hamilton A. Ferry Jr. was a true classic the likes of which we will never see again! There will be a grave side service on Saturday August 25, 2018 at 11:00 am at the Riverside Cemetery on Lake Shore Drive in Norwood N.Y. with a gathering to follow at the American Legion in Norwood. Any donations can be made in Ham's name to the charity of ones choice.